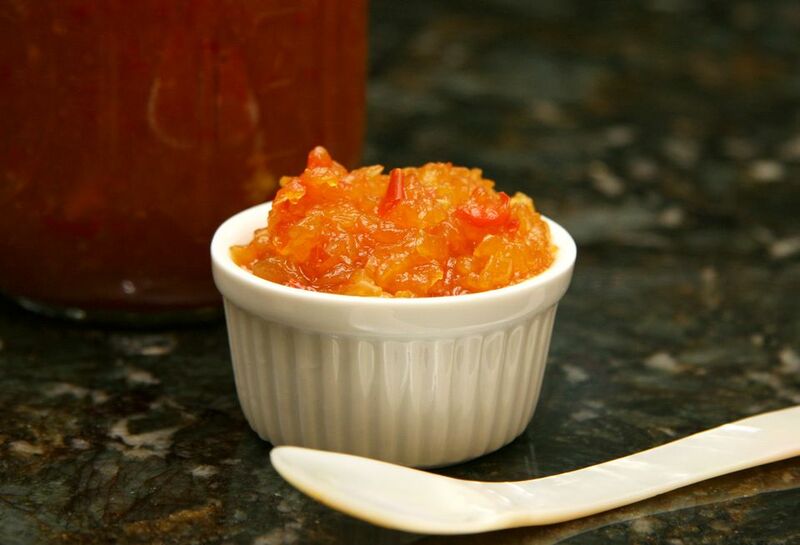 Use Vidalia onions or other sweet onions in this flavorful relish. This relish is delicious with beef or pork, or use it to add flavor to appetizers. Combine the ground onions and bell peppers with the salt; stir and let stand for 30 minutes. Bring a saucepan of water to a simmer, reduce heat to low and add the jar lids. Keep them in the hot water, but do not boil. Half fill a canning kettle with water; add the jars and bring to a boil. Reduce heat to low and keep jars hot while the onion mixture is simmering. Drain the vegetables in a fine mesh strainer, squeezing gently. In a large non-reactive pot, combine the sugars, turmeric, and vinegar. Put pickling spices in a cheesecloth bag and add to the vinegar and sugar mixture. Bring to a simmer; reduce heat to low and simmer gently for 5 minutes. Add the well-drained vegetable mixture, increase heat to medium, and bring to a boil. Lower heat to medium-low and simmer for 30 minutes. Fill the hot jars and wipe rims with damp paper towels. Fit the jars with the lids and screw jar rings on firmly. Put the jars on a rack in the canner and fill with more very hot or boiling water so it comes at least 1 inch above the tops of the jars. Bring to a boil. Cover and boil gently for 10 minutes. Remove the jars to a rack to cool. Do not invert.